Born into a musical family in Bayreuth, he studied at the Hochschule der Kuenste Berlin with the celebrated teachers Dietrich Fischer-Dieskau, Aribert Reimann and Hans Hotter. Early success came in 1991 when he was awarded first prize at the International Vocal Competition s’Hertogenbosch. „Der fliegende Hollaender“. Wotan and Wanderer (The Ring of the Nibelung), performed regularly at Staatstheater Wiesbaden, Staatstheater Darmstadt, Cologne, Rome, Riga, Macau and others, marked his first professional and vocal peak. From 2006 till 2012 he appeared annually at the Bayreuth Festival, performing the roles of Donner (Das Rheingold), Gunther (Twilight of the Gods) and Melot (Tristan and Isolde). In 2008 he made his long awaited debut in the role of Hans Sachs (The Mastersingers of Nuremberg) at the Staatstheater Darmstadt to great critical acclaim. 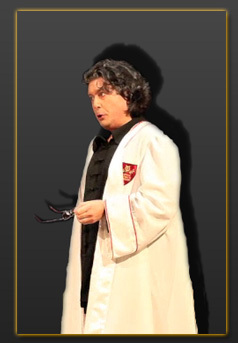 In 2010 for the New National Theatre Tokyo he sang his first Barak in Die Frau Ohne Schatten, and the role of Donner (Das Rheingold) at the Liceu in Barcelona. More recent appearances include the role of Dutchman at the Deutsche Oper am Rhein, Dusseldorf, and Hans Sachs at the Staatsoper Hanover. In 2012/13 he made his successful debuts as Wozzeck and Kurwenal in Tristan and Isolde. Dr Schön/Jack the Ripper in Alban Berg’s Lulu at the Royal Danish Opera Copenhagen, Detlev Glanert’s Caligula at the Staatsoper Hanover, and Don Alfonso in Cosi Fan Tutte at Munich’s Cuvilliés Theatre. Ralf Lukas sang with some of the world’s most prestigious orchestras and conductors including Claudio Abbado, Riccardo Chailly, Sir Colin Davis, Armin Jordan, Lorin Maazel, Zubin Mehta, Sir Roger Norrington, Seiji Ozawa, Wolfgang Sawallisch, Giuseppe Sinopoli and Christian Thielemann. Also highly sought after as a concert singer, with a stylistically wide repertoire, he appears regularly in the major concert venues of the world including Berlin, Brussels, Hamburg, Madrid, Paris, Rome, Sao Paulo and Vienna, and has participated at the festivals of Montpellier, Lucerne, Rheingau, Schleswig-Holstein and the BBC London Proms. 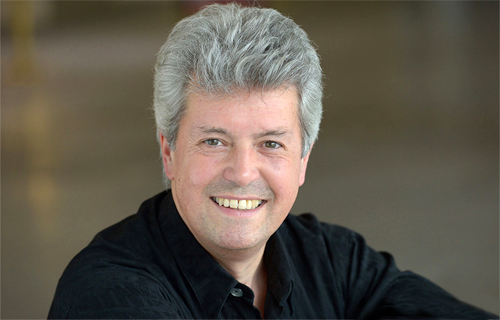 He has taken part in numerous radio and television recordings for ZDF, SFB, MDR, BR, Radio France, RAI, RTE and has recorded many CDs including Brahms’ „Die schoene Magelone“, Schoenberg’s „Gurrelieder“ under the baton of Michael Gielen, Berlioz’ „L’Enfance du Christ“ (King Herod) and „Benvenuto Cellini“ (Pope Clément) under Sir Roger Norrington and Mendelssohn’s „Elijah“ for MDR. A recording of Othmar Schoeck’s Cantata op. 49 under Mario Venzago was awarded a Diapason d’Or in 2007; and Liszt’s „Christus“ (title role) with the Beethoven Orchestra under Roman Kofman gained an Echo Prize in 2007. Appearances on DVD include Haydn’s The Seasons conducted by Enoch zu Guttenberg, Das Rheingold (Donner) from the Liceu, Barcelona, and Götterdämmerung (Gunther) with La Fura dels Baus under Zubin Mehta.